The intersection of Atlantic and Alta Ln has a water/road issue. 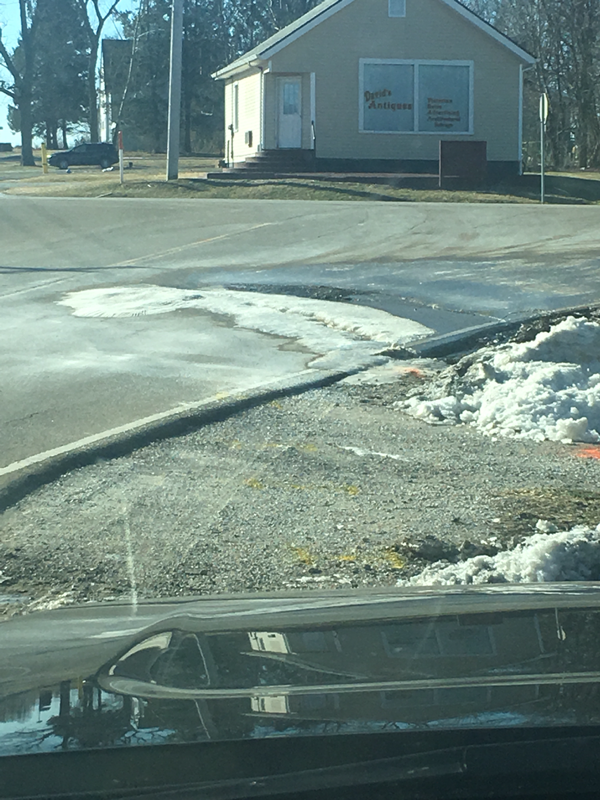 Water from the ditch by Antique Shop - Last Chance is going under the road and has open a fissure on the hill on Atlantic. The water has undermined the road and the surface is crumbling away.